If you’re serious about saving money for travel, you’ve come to the right spot. 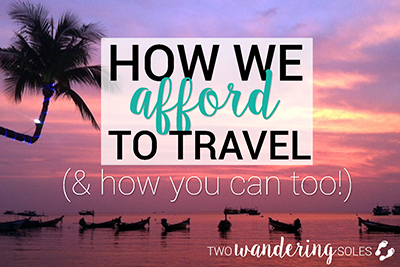 We're about to share all of the tips and tricks we’ve used to be able to afford a semi-nomadic lifestyle, which has allowed us to travel long-term through 43 countries (and counting!). These simple tips, mindsets and lifestyle adjustments will help you reach your financial goals. We're not suggesting that you need to follow all of these tips exactly. Pick and choose what sounds right for your lifestyle and adapt. Make them your own and start to see your savings grow. "How can I save money for travel?" Come up with a dollar amount that you are striving for. Just like anything in life, accomplishing your goals is easier to do when you know exactly what your goal is and how close (or far) you are to reaching it. Coming up with this number might require a little research. A year-long trip is going to look different than 2 weeks. 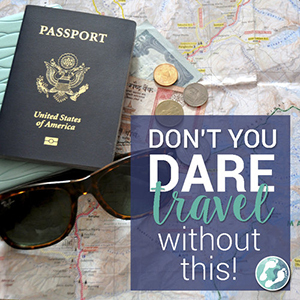 If you're unsure where to start, this article should help you determine how much money you need for the trip of your dreams. For this example, let's say you are planning a 3-month trip to South America, and plan to save $5,000. Once you have your number, write it down and keep it somewhere you'll see it for inspiration. Put it on post-it notes and stick 'em everywhere! Your mirror, the fridge, your planner, in your car. Set notifications on your phone or your computer. It'll start to get engrained in your mind. It's crazy how when you really, really want something, you are able to make the necessary sacrifices to make it happen. Setting a daily budget and sticking to it is essential to reaching your savings goal. But how do you come up with this number? Glad you asked. To calculate your daily budget, you'll need a bit of time, but trust us, it is oh so worth it in the end. First, write down all your necessary expenses each month. For example: rent, gas, car payments, car insurance, utilities, health insurance, student loans, groceries. Next, write down all other (non-essential) monthly expenses: gym membership, internet & cable, happy hours, going out to eat, movie tickets, clothes, etc. This is may be long list for you and you might have to estimate some costs. But you're almost done. Use two highlighters to code each item you've written down. Now, add up all the costs from the items coded with Color A. Divide this number by 30 and BOOM. There you have it. Your daily budget. The first couple weeks will be trial and error. If you're constantly going over budget, raise it a bit. Or if you never reach your daily amount, play budget limbo and challenge yourself to see how low you can go. Making a budget is completely personal, and should be realistic for your lifestyle. If it's not, there's no way you'll stick to it. I'm stuck. I need an example. For those who want an example of a number to start with, we'll share our daily budget when we're living in the U.S. with an apartment and car: We live quite minimally (but typically have an apartment with a nice locations and we LOVE to eat). Our daily budget is $35 USD per person ($70 USD for the two of us). Yes, ALL of them. And yes, even the little ones. This is how you'll hold yourself accountable to your savings goal. Often times it's the small things – the daily latte and new shade of nail polish – that add up without us even realizing it. When you have to track each expense, you'll find yourself second guessing your purchases: Do I really need this? It might seem a little intense at first, but it gets easier and becomes habit with time. Tip: There's an app for that! Tracking expenses can actually be kind of fun with the right tools. There are plenty of apps out there, but our favorite is Trail Wallet because it works super well when traveling and using different currencies. I’m going to be completely blunt: You can’t have it all. When you're trying to save money, that is. If you have a modest income and are trying to save money, you can’t have designer clothes, monthly pedicures, exclusively organic produce, a lease on a luxury car, membership to trendy gyms AND an apartment with a great view. You can have some of these things, yes. But not all of them. Sorry if I shattered your illusion, but someone had to. Find what really matters to you and prioritize your spending on that. When we are living in one spot with the goal of saving money, our priorities are a home with a great location, eating fresh and healthy food, happy hours with friends and the occasional fun weekend event (like a hockey game or concert). Everything else (aka new clothes, home furnishings, nice cars, etc.) just don't cut it. When considering any new purchase, I typically put in perspective of how much this amount would affect my savings goal. Here's what I mean: There's a super cute dress I want and it costs $40. At first thought, this seems pretty inexpensive. But let's say my goal is to travel to South America. In Ecuador, $40 could buy me a hotel for the night AND breakfast, lunch and dinner. With a cocktail. When I put it in this perspective, it makes buying that dress seem unappealing. If I put that $40 toward my savings instead, I'll be closer to my goal trip. There are so many things in our lives that we pay for without really thinking about. You know, those monthly payments that automatically come out of your account? So sneaky. Sure, there are a few you just can’t mess with like insurance, student loans, car payments or electricity. But consider all the other bills you pay every 30 days, and write them down. Now ask yourself if each of these expenses are truly necessary. Are they priorities (see #5)? And consider alternatives: Could you work out on your own instead of paying a monthly gym membership? Could you get by with less data? Have you even read the magazine you subscribe to over the last few months? We’re certainly not suggesting that you cut all these expenses. If going to the gym makes you happy and feel healthier, it’s a good use of your money. But the point we want to make is that monthly fees are often forgotten about and they come out of our bank accounts so sneakily that you may not really notice them. (And that's what these companies want!) It’s good practice to review where your money is going and consider whether you still feel like it’s worthwhile. A good general rule of thumb: Anything that is no longer bringing you joy or making your life better is a cost that can be eliminated. Just like eating healthy, working out and well, pretty much everything else in life, balance is the key to saving money. It’s okay to splurge from time to time, and a little overspending shouldn’t dampen your spirits. If dinner and drinks with friends puts an extra zero at the end of your daily budget today, be diligent about watching your spending every other night this week. Eat in. Pass on those new boots (even though they’re super cute). Eventually, your little splurge will even out. And plan ahead: if you know December is going to be a big month for spending, make sure you’re extra frugal in October and November so that the holidays won’t set you back. It’s all about balance. We’re always told to “live within your means.” It’s wise advice, of course, because spending more than you make is, frankly, not very smart. But just living within your means doesn’t leave much room for saving. If you are trying to put money away, try to consciously live beneath your means. It seems logical that if you have money in your account, you can afford to buy designer jeans and go to trendy bars on the regular. You think to yourself: "I can afford this lifestyle." But if you want to actively save money, you may have to redefine what you can afford and live like you would if you were making less money. Perhaps this change in mindset is all you need to help grow your savings. Sometimes the small purchases are the ones that break our budgets. We think, “Oh, its just $12!” And before we know it, all those sly little purchases that weren’t totally necessary add up to way more than we ever thought they could. $3.50 latte (two times a week) + a $3 scone you just couldn’t resist! $12 fun new scarf. It'll go with everything. $2 lottery ticket because you're feelin' lucky! $5 new nail polish. It's just matches my mood today. $6 happy hour nachos (+$3 to add chicken to those nachos! ) + $4 wine (duh) + tip! Cooking your own meals is one of the easiest ways to save money. Seriously. If you don’t know how to cook, LEARN. Even if you don’t like it, LEARN. Cooking is one of the biggest ways to cuts costs in your day-to-day life; plus, it’s so much healthier than eating out. Try to learn what vegetables are in season so you don’t overpay for ones that are imported from far away. Our favorite thing to do is to prepare the week's meals on one day so that cooking isn't such a chore each day. This way, you won't be tempted to order takeout or go out to eat for lunch each day. Brown bag lunches are what all the cool kids are doing (aka. Ben and me!). This list is a great place to start for some simple and yummy meal prep ideas. And if you're really serious, create a list of go-to recipes and calculate the cost per serving. It's crazy how delicious (and healthy!) of a meal you can cook up for less than $3 per serving. Dolla' menu got nothin' on us! This is not to say never go out to eat. Make it something you only do occasionally, and it'll be more special (see #8 Balance). Society constantly tells us that we need to have the latest and greatest phone, car, camera, furniture... you name it. Embarrassing secret time: Both mine and Ben's phones are more than 4 years old. My camera is going on 8 years, and I can’t remember the last time I had my hair cut. The only new clothes I’ve bought the last couple years are bridesmaid dresses and layers to keep me warm at Everest Base Camp. And I’m surviving. I’m not saying that getting the new iPhone is a bad thing. (I may need an upgrade pretty soon...) But remember that the pressure to have the latest and greatest is put on us by companies who want our money. If you’re trying to save, you just can’t upgrade everything in your life (see #5). Try to use your belongings until they no longer work and upgrade only when necessary. I’ve been fine with my iPhone 5, and even though my camera would be in the first grade if it were human, it still takes great pictures. When it no longer does what it's supposed to do, I'll know it's time to move on. Backpacks, shoes, swim suits, pants, you name it, we’ve stitched it up! 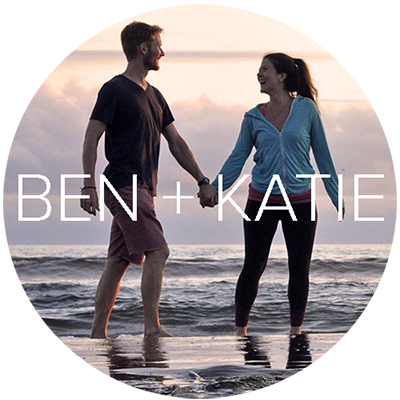 (Actually Ben is the go-to tailor in our duo.) When things fall apart, it’s instinct to buy a new one, but most of the time a few stitches, a little duct tape or the magic of a Tide pen is all you need! Whew, that was a mouthful. But those are really just a few of the ways to shop smarter, and let’s be real, you aren’t going to do all of them (unless you’re attempting to get on one of those couponing shows!). Pick a few that sound reasonable and try it out. Saving money feels good! Saving money doesn’t mean you can’t have fun – you just need to get creative. There are plenty of inexpensive (and free!) things to do, no matter where you live. Pack a picnic and go to the prettiest park in town (or have it indoors if the weather isn't great). Go to a local farmers market and pick out a piece produce you've never heard of and learn how to cook with it. Roadtrip to a nearby town you've never been to. Host a board game night with friends. Make a calendar of upcoming free events and festivals in your town. Have a themed "country" night. Cook a meal from that country, and play traditional music or a game that originated there. There are a lot of services we pay for without really thinking about. And a lot of these we can easily do on our own. We’re not suggesting that you DIY everything in your life, but by doing a few more things on your own you can save quite a bit of money. Plus, you'll learn valuable skills along the way. Try washing your own car. And if you’re really savvy, learn how to change the oil yourself. Instead of going in for regular manicures and pedicures, have your own spa night. Make your own cup ‘o joe instead of opting for the coffee shop variety. DIY your Christmas and birthday gifts. Infused liquor and homemade sugar scrubs are crowd pleasers, and check out this list of super creative (and cheap!) DIY gifts! Here’s something that happens a lot (and we’ve definitely been there too! ): Someone comes upon unexpected money in the form of a bonus/winning a poker game/getting an inheritance, and without pause, they spend it. Instead of a spontaneous splurge, put that unexpected money towards whatever it is you're saving for. Wealthy people often have more than one source of income. Now, I'm not someone whose main goal is to be wealthy, per se. But this idea works well for saving money, too. If you have the time (and resources to make it happen), get a side hustle in addition to your main job. One super easy way Ben has recently found is to teach English in an online classroom with VIPKID. You can earn anywhere between $16-$22 per hour (plus additional incentives) practicing English elementary-age students in China. You can set your own schedule (best hours are Beijing evening time), work as many hours as you want and you don't even need to have a TEFL certificate to do it. All you really have to do is be on time, be energetic and be happy, which many of you already are. Check out it VIPKID here; it will be the easiest money you make online. We use Upwork to find freelance writing and graphic design gigs. Are you a budding photographer? Offer to take portraits of friends and family in your spare time and see where that takes you. Become a tutor in a subject you enjoy. Sell your knitting, paintings, jewelry, woodwork, [insert hobby here]. Sites like StuckForStaff have brand promotion gigs ranging from a commitment of a couple hours to ongoing work. Become a driver for Lyft or Uber. Become a Website Tester on Peek, where you test out websites, record your opinions and earn cash (typically $10 USD for each 15-minute test session). These are just a handful of examples that show just how many opportunities are out there for the taking. Some side hustles incorporate your passions and will actually be enjoyable, while other side gigs – like mowing your neighbor's lawn – will purely be about the extra cash. Either way, put this extra money directly into savings. Even if you can't commit to a consistent gig on the side (see #18), there are ways to make a little extra dough when you have some time. Taste Tests and Focus Groups – Whenever we are at home for a while, we participate in focus groups and taste tests to earn extra cash. You're usually paid at least $35 an hour. Sometimes more. I did one study that required 30 minutes of my time online each week for 7 weeks and I was paid $300. Most major cities have at least a few organizations that organize taste tests and focus groups, and a quick search on Google should direct you to them. Money-saving Apps – We haven't explored this realm too much, but there are lots of apps out there that save you money on things you normally buy. Sell gently used clothes, furniture, etc. – stores like Plato's Closet and Play It Again Sports, and sites like Craigslist are great places to sell the things in your home that are just taking up space. Okay, there's one more tip we've been saving for last. Are you ready for our very favorite money-saving tip? Ask yourself the following questions and answer honestly. Are you really, REALLY serious about saving money for travel? Do you like the idea of living overseas and truly experiencing another culture? It's no coincidence that this is our very favorite money-saving tip. Teaching overseas was basically how we funded our year-long, round-the-world trip. Almost every week, we get a handful of emails from people who say they want to save money to travel. And they want to do it quickly. Our answer to all of them is the same: Teach English in South Korea. Teaching English overseas is hands-down one of the best ways to earn (a lot of!) 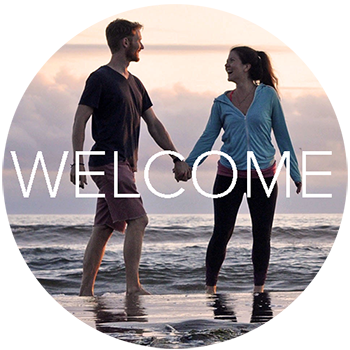 money quickly, and gives you the amazing opportunity to live in another country as an expat. Your flights there and back are paid for. Your apartment is paid for. You get a pretty nice chunk of cash each month. And best of all: it's an AMAZING, once-in-a-lifetime experience you'll remember all of your life! There are bonuses and so many benefits that it’s too much info to include here, but you can check out our article where we’ve shared exactly how we saved $22,000 EACH while teaching English in South Korea. We've also divulged our tips for saving extra money while teaching that are easy to follow and will make your bank account rise. If you are interested in teaching English in South Korea, we've got tons of information and resources that will help you in your journey. Check out the South Korea section on our website for even more information and inspiration. We'd love to help guide you on your English teaching journey! So what do you think? Which of these tips sound doable to you? Which mindsets do you plan to adopt? Do you have any more money-saving tips you'd like to share? We'd love to hear from you in the comments below!